The Hellenistic and Roman city of Heraclea Sintica is located near the city of Petrich (SW corner of Bulgaria) which is situated 180 km south of Sofia (Bulgaria) and 130 km north of Thessaloniki (Greece). Heraclea Sintica was founded as a Macedonian colony in the end of 4th c. BC. It was the main settlement of the Middle Struma (ancient Strymon) River region till the end of 4th c. AD. Since 2007 systematic archaeological excavations have been carried out. The current ArchBulg Field School will focus upon Late Roman civilian basilica (3rd ‒ 4th c. AD) and an Early Hellenistic building (end of 4th c. BC). 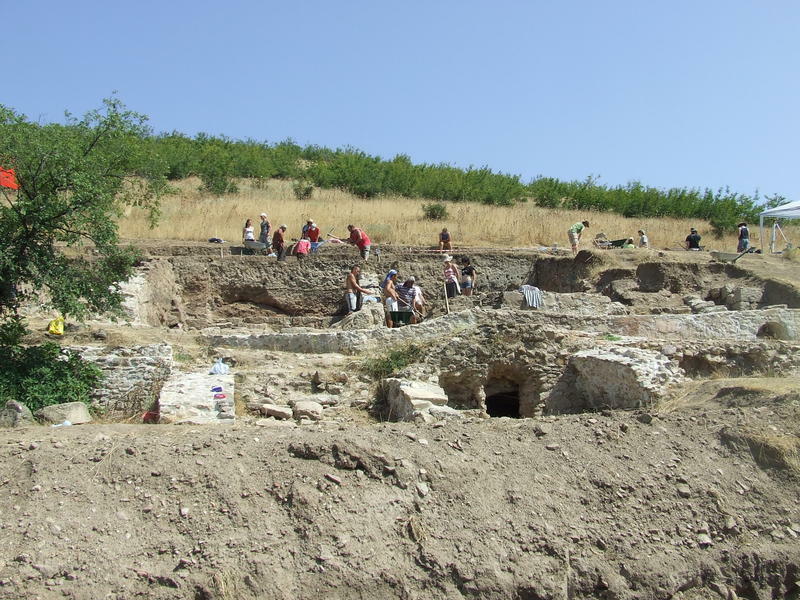 The American Research Center in Sofia (www.arcsofia.org) is pleased to announce the third summer Archaeological Field School at Heraclea Sintica (Bulgaria). Students will arrive in Sofia on May 31 and will spend two full days exploring the archaeology and history of this beautiful city. On June 3, the team will begin an archaeological journey, visiting sites and museums in Veliko Tarnovo, Kazanlak, Stara Zagora, Plovdiv and other smaller sites. We will arrive in the city of Petrich or Sandanski on June 7, the home base of the ARCS excavations at Heraclea Sintica. The excavation team will reside in a hotel in Petrich or Sandanski during the 4-week excavation season. Archaeological work is conducted Monday-Friday with additional excursions to southwest Bulgaria, northern Greece and Republic of Macedonia on Saturdays. The team will be accompanied back to Sofia on July 6, where they will stay one night, departing from Sofia on July 7. Location: Petrich, Bulgaria; Hotel Bats. Patterns of coin circulation as related to economy and local markets.